This article applies to most Panasonic cordless devices we sell. To bypass all of these steps, you can dial ## in an active call. When you hear a dialtone, you can dial the extension number and have the call immediately transferred. 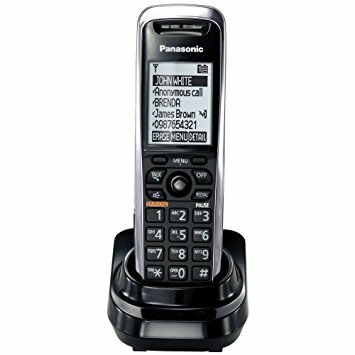 This tutorial will show you how to transfer called on a Panasonic cordless phone. For reference, the MENU button will be required to complete the steps on screen. The menu button on this handset is a small round button in the middle of the phone that feels like a joystick. It normally has the word MENU printed above it. This means you can announce the call or talk to the other party before releasing the call to that destination. 1. During an active call, press MENU. 3. Dial the extension number to which you wish to transfer the call. 4. Wait for the receiving party to answer. Note, you can press CANCEL during these steps to cancel the transfer process and return to the call. 5. Press the TRANS soft key to complete the transfer. This means your call is immediately transferred to the other party without any announcement. Note, as stated above, you can also press ## to dial an extension for transfer.